The Minneapolis Park & Recreation Board and the Minneapolis City Council are concerned the project threatens the continued redevelopment of the area for parks and historic interpretation on the west bank of the river. 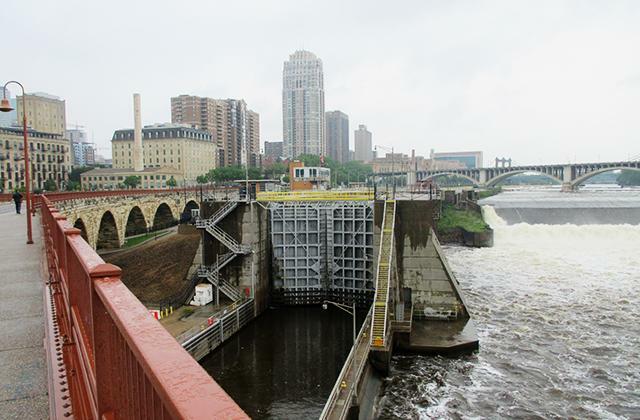 A Minneapolis-based company thinks its proposal for a new hydroelectric facility at St. Anthony Falls is exactly what the region is seeking: renewable and sustainable energy that could replace electricity now being generated by fossil fuels. At the spot where the city’s industrial founders used water power to make Minneapolis the flour milling capital of the world, Crown Hydro has proposed “to provide clean energy for generations to come,” by redirecting Mississippi River flows to new turbines located near the now-mothballed navigation lock, the company states in promotional materials touting the project. 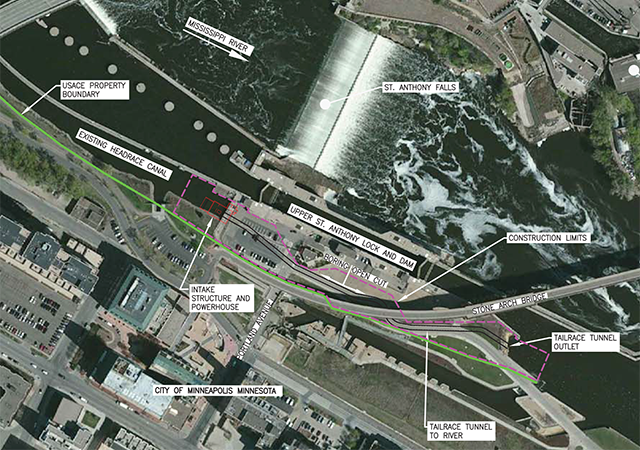 Proposed site of the hydroelectric facility at St. Anthony Falls.